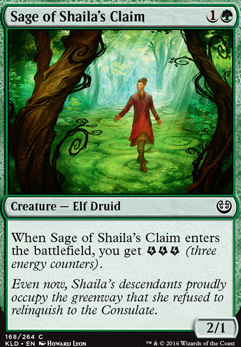 what about 1x Sage of Shaila's Claim? I agree with the inclusion of Bristling Hydra. 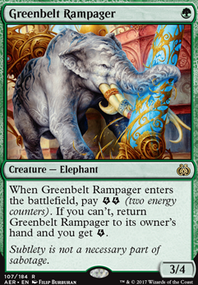 Perhaps consider additional support for energy with aggressively costed creatures such as Greenbelt Rampager, Longtusk Cub, or Sage of Shaila's Claim? 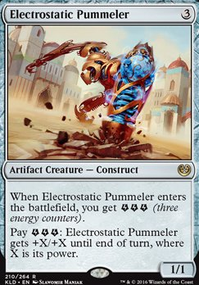 Aether Hub and Servant of the Conduit might also prove useful for fixing/ramping. Regardless, I like the deck list and look forward your updates. Cool deck. 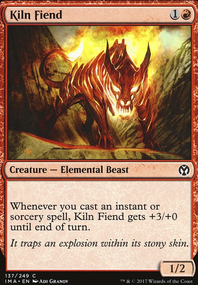 A card I prefer slightly over Sage of Shaila's Claim is Woodweaver's Puzzleknot because of the lifegain and ability to get extra energy after scarfing it. However, Sage can trade in combat, so it's more of a meta call. It can even do chip damage against control. Just a card similar I thought should get recognized. I think Memorial to Genius and Memorial to Unity are too slow, and don't give enough payoff, for this build. The beauty of Hashep Oasis is that it's both fast, and helps you finish the game. 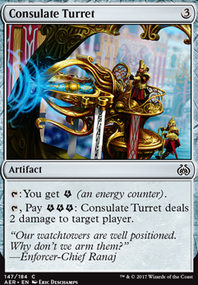 Three colour decks aren't being played much these days, unless they Control. That's because, after losing Attune with Aether, it became much more difficult to fix for three colours. I would try to cut back to two. This deck feels like it's a bit all over the place. Although I LOVE Sage of Shaila's Claim with Bristling Hydra, I think you'd be better off with Longtusk Cub. You can get overrun very quickly, as this deck takes a while to take off. It doesn't handle other midrange decks very well. It is very sort of ... unfocused? 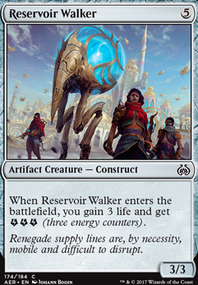 You need more Creatures and less Instants, I think. Push through with your plan, and ignore what your Opponent is doing. Try to outrun them by getting your Creatures big, as fast as you can. Looking at some of the Comments I agree that Hadana's Climb Flip is very slow. I'd use only two copies. It's funny that someone else suggested Sage of Shaila's Claim as I'd also been thinking about it. Try putting one copy in for the Hadana's Climb Flip you remove. An extra can help Bristling Hydra, and a blocker that you don't car about can be surprisingly handy. We used the card in a deck I built for StuBi, and it was superb. 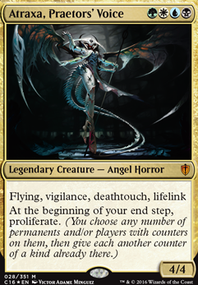 just remove a couple of the cards you have 4 of and add 2 or 3 sages; i.e., take out 1 Greenbelt Rampager and 1 Deadeye Harpooner and add 2 Sage of Shaila's Claim. what about Sage of Shaila's Claim?